But with the union, much turned for the better, and the workers were able to get a raise. Knowing that the collective voice of the union would be stronger with more workers, Rose says she “got a group of ladies together and we would go to the other nursing homes and tell them what we needed to do to organize,” and for the next several years she worked towards organizing other neighboring nursing homes in her community and surrounding areas of Arkansas and Tennessee. Through her organizing efforts, Rose has worked for more than 18 years to change conditions such as the ones the catfish and nursing home employees experienced, to help give a voice to the workers. 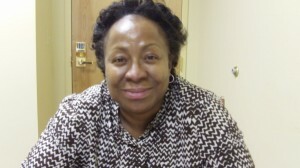 Looking back, Rose says she feels good about “her nursing homes.” She continues to work on organizing campaigns for nursing homes and other industries in the south, and is currently in Tupelo, Mississippi to organize nursing home workers at Golden Living. Rose always comes back to those who came before her in the fight for civil and worker’s rights: “People paved the way, and we need to pave the way for others to come.” She also notes how intertwined the movements are, saying that “people realize that civil rights have a got a lot to do with workers rights–it’s just like faith and work–you can’t have one without the other, it just ain’t gonna work. You can have faith but without work behind it, it’s no good, and you can have work, but you’ve got to have faith”. Rose and the others who continue to fight for workers rights are a bright spot in the south, which has traditionally been hostile towards unions. Its thanks to workers and organizers like them that the worker movement is spreading–workers in Chatanooga, TN recently came close to organizing with UAW at the VW plant, and Moral Mondays have spread from Raleigh, NC to cities across the country to bring awareness to social justice issues. Its proof that when people stand together, change it inevitable.